As the Baltic States continue to confront Russian air and naval power in the Baltic Sea, two small missile ships, the Zelenyy Dol and the Serpukhov entered this crowded body of water at the end of October. 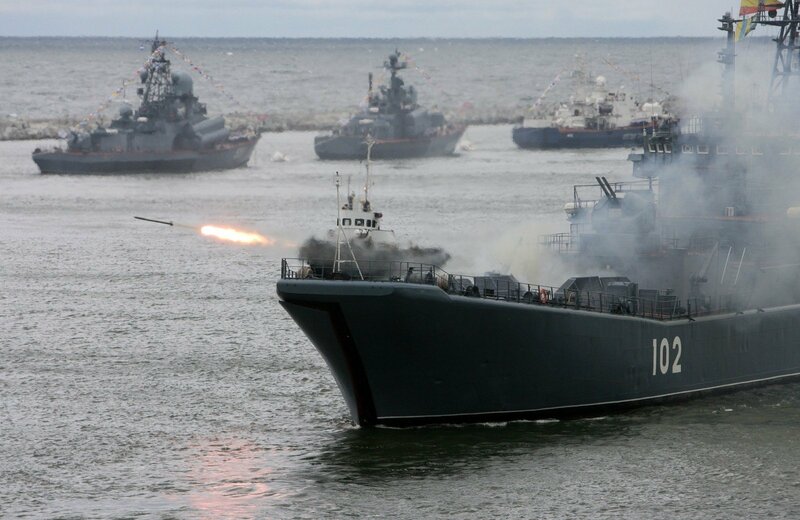 These Russian vessels will reportedly become part of a newly formed Baltic division in the near future (TVNET, October 26). The redeployment of the Zelenyy Dol and Serpukhov is just the latest regional development negatively affecting the security of the Baltic States. None of these three post-Soviet republics has the financial resources available to sufficiently strengthen its own naval capabilities in response. Therefore, in order to defend their sovereignty and ensure the sustainability of their defence sectors, the Baltic States’ naval policies will continue to stress the ability to “fill the gaps” in the full spectrum of Allied maritime operations in the region, Olevs Nikers writes in the Jamestown Foundation. In terms of the regional military balance, the Baltic States—as full members of the North Atlantic Treaty Organization (NATO)—actually appear to be in fairly strong position defensively. The German navy operates 15 surface combatants along with five submarines in the Baltic, whereas Poland is undergoing a major long-term modernization of its naval forces. Meanwhile, Sweden (not a NATO member, but a strong partner of the alliance) has one of the finest conventional submarine fleets in the world. Norway is currently introducing the fifth-generation F-35 strike fighter into service. Overall the North Atlantic Alliance and its close partners have more than 400 modern combat aircraft in the region, some of them capable of conducting electronic warfare operations—an important aspect of potentially defeating Russia’s anti-access and area-denial (A2/AD) bubbles (Usni.org, April 25). However, according to a report by the Tallinn-based International Defence and Security Centre, written at the request of Estonia’s parliamentary National Defence Commission, NATO forces in the Baltic region are not sufficiently equipped and not ready to undertake protection operations in the Baltic Sea. Specifically, the report questions NATO’s ability, in the event of a crisis, to overcome Russia’s A2/AD capabilities in order to deploy military reinforcements to the Baltic countries. “Moreover, due to declines in the strength and capacity of European armies, only the United States possesses a wide range of military capabilities needed to carry out defensive operations against a broad attack on the Baltic Sea region,” the report says (TVNET, April 20). The three Baltic States nevertheless have been upgrading the abilities of their naval forces to plug into larger NATO formations operating in the region. Estonia’s National Defence Development Plan, for example, has stipulated further development of the country’s mine warfare capability. In particular, Estonia is modernizing three mine countermeasure vessels, a diver group and one naval auxiliary ship. The limited navies of Lithuania and Latvia serve similar purposes. The Lithuanian Navy is tasked with protecting national interests in territorial waters and throughout Lithuania’s exclusive economic zone (EEZ); conducting explosive ordnance search-and-disposal operations; coordinating maritime search-and-rescue missions; supporting the Armed Forces’ special operations; controlling and protecting the country’s strategic lines of communication and fisheries; as well as policing offshore polluters. With the largest naval force among the three Baltic States, the Latvian Navy performs minesweeping operations, carries out search-and-rescue missions; and monitors ecological activities in nearby waters. Together with Lithuania and Estonia, Latvia’s main development priorities for its navy are to expand joint activities within the Baltic States’ Ship Squadron (BALTRON) and the creation of the shared Sea Surveillance System (Kmin.ee, Kam.lt, Mod.gov.lv, accessed November 6). 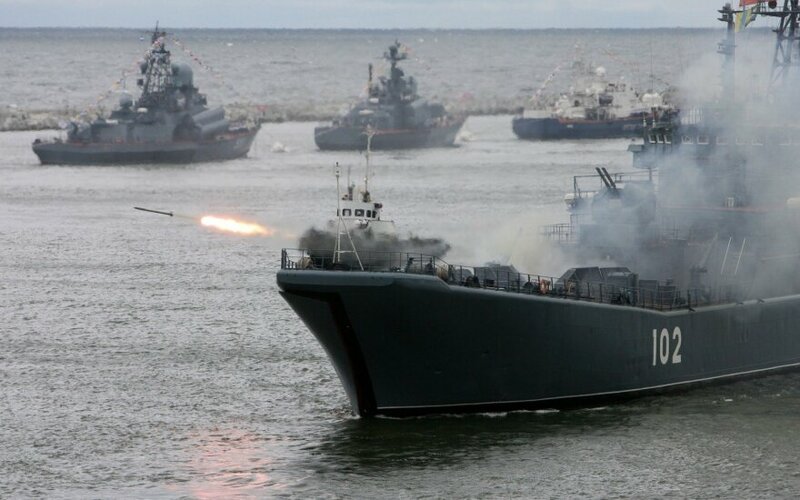 According to a study by Lieutenant Commander Mati Terve, at the Baltic Defence College, the Baltic States’ navies are able to conduct constabulary operations in territorial waters and sometimes in their EEZs as well as contribute to coastal defence. But these small forces lack the ability to participate in power projection operations. Their specialization is the only way to contribute to larger coalitions: for example by their active contribution to the Standing NATO Mine Countermeasures Group 1 (SNMCMG1) (Baltdefcol.org, accessed November 6). Sea control is an ambitious operation and for small states like the Baltics—almost impossible to achieve. Therefore, according to Terve, in order to protect their sea lines of communication, he Baltic States will need to at least build up their sea denial capabilities. These three countries’ present naval capabilities resemble those of the Singaporean Navy from the 1980s. At that time, limited funding allowed Singapore’s naval forces to take part in restricted operations, focused primarily on sea denial (Baltdefcol.org, accessed November 6). Out of the three Baltic States, only Latvia—which owns one minelayer in its naval fleet—can physically perform sea denial operations. Maritime power projection operations, meanwhile, can be bolstered by sea-based attack aircraft, submarine- and surface-launched cruise missiles, naval fire support, as well as amphibious and special forces. These capabilities are precisely lacking in the Baltic States, but they can be achieved through deeper regional cooperation within NATO. The Baltic navies’ mine countermeasure ships are obviously unable to project power against a potential adversary; however, by operating within the SNMCMG1, and in collaboration with other Allied assets, they could significantly influence an adversary’s actions. At the same time, a full spectrum of Allied maritime operations in the Baltic will have to include surveillance and reconnaissance, which involves locating, identifying, and tracking aircraft, surface vessels and submarines. This will only be possible in cooperation with larger regional powers—especially Germany and the Scandinavian countries. This past summer’s BALTOPS 2016 military exercise drew to the Baltic Sea region approximately 6,000 personnel, 45 warships and 60 aircraft from 17 countries. Participants included the United States, Germany, the United Kingdom, Poland, Denmark and the Netherlands, along with all three Baltic republics, and NATO partners Sweden and Finland (Lsm.lv, June 6). BALTOPS 2016 sent an important message to Russia, showcasing the US and NATO’s determination to freely operate in the Baltic Sea. In the exercise, the Alliance practiced using its collective maritime forces to ensure access to the region in the event of having to reinforce the exposed Baltic States in a crisis or during wartime (Usni.org, June 1). The Baltic navies’ mine countermeasure capabilities and competencies are well known inside NATO. But to more fully contribute to their self-defence and boost their role within the coalition, the Baltic States will need to develop additional network centric warfare capabilities. In particular, all three Baltic navies lack sufficient abilities to carry out information exchange and maritime situational awareness. If successfully developed, these capacities would seriously ease regional cooperation with NATO’s “heavy assets” in the Baltic.